I used the Trotec today and all was well except for one thing - when printing a job from Illustrator, as soon as it was loaded into JobControl, the Trotec started trying to laser cut it straight away. This is a problem for a few reasons - one is that the material might not have been lined up in the cutter at this point, another is that the material settings in JobControl seem to reset every time you print something new, so usually they’re wrong and have to be set before starting the cut. To get round this I just cancelled the job, then reset it once I had everything configured. Also, I wondered about cutting acetate, like the sheets used in overhead projectors - is that allowed, and if so does it cut well without warping or melting? yeah. 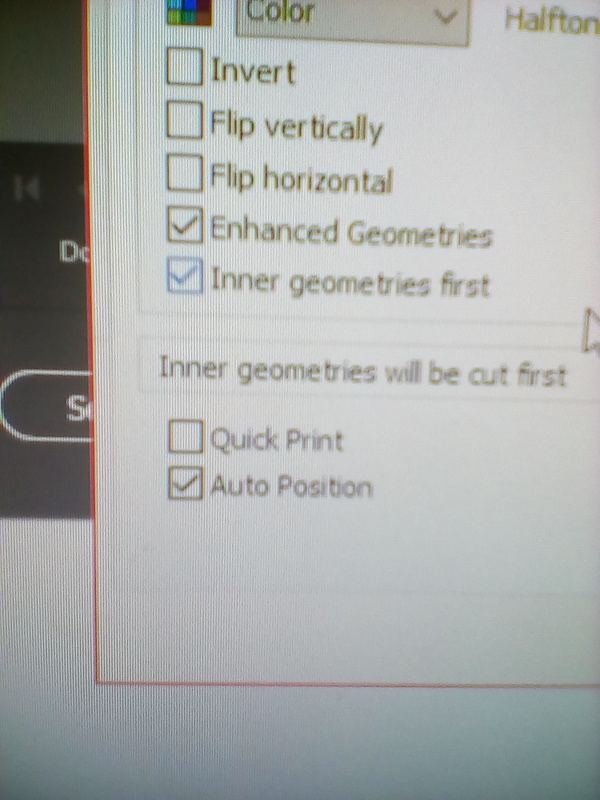 I’ve just paid MS a visit and checked it and found out in the print settings Quick print was ticked meaning that it’d start cutting straight after opening JC. Unticked it and didn’t cut straight away. Based on quick google search seems people cut acetate but don’t have time to dive into it atm. Will check that one soon. I was hoping to cut the acetate tomorrow at some point, will you be around in the space at all? I’ll be in at round 6pm for a bit working on my laptop. Can join your lasering too. I found a few posts online of people who had laser cut overhead projector transparencies and they said it was fine. Maybe there are alternative options to acetate - my son is making a lot of screenprints at the moment and wants to have reusable stencils. He cuts the stencils out of paper at the moment. It needs to be something very thin but durable. Any idea what people usually use for this kind of thing? @tinkalo has booked three hours on the laser. Do you need that Julia?